The shining stars of South Africa’s culinary world were honoured at the 2017 Eat Out Mercedes-Benz Restaurant Awards on Sunday 19 November at GrandWest in Cape Town. 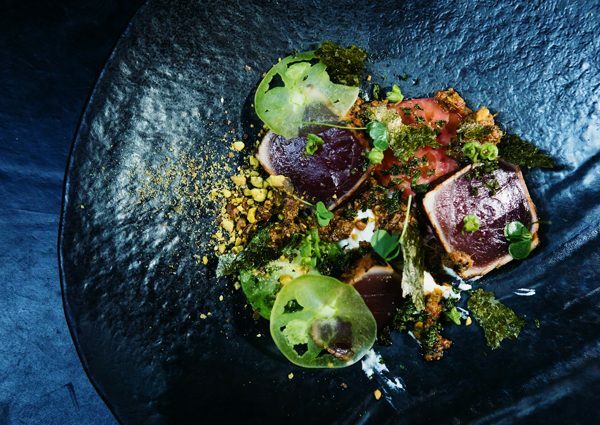 These are the Top 10 restaurants in South Africa right now. The unstoppable Luke Dale-Roberts triumphs for the sixth consecutive year, with Ryan Cole alongside him in the kitchen and food that’s better than ever. While dining at the country’s best restaurant might be intimidating for some, guests will be delighted to discover that the experience here is not over-the-top nor excessively elaborate – it feels like the easiest thing in the world. 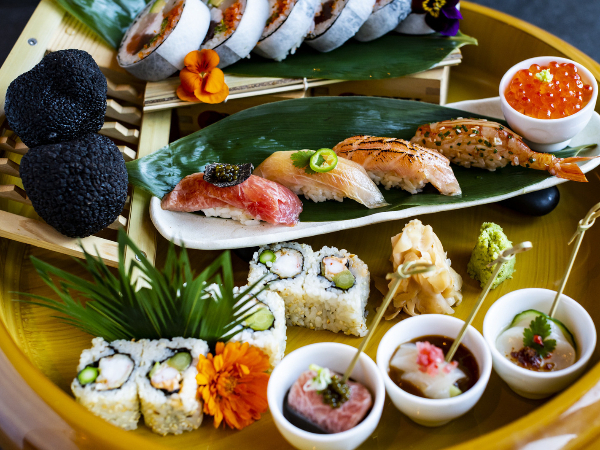 From the ‘dark’ room to the ‘light’ room, expect show-stopping dishes that will take you on a culinary journey from Peru to Japan then right back to South Africa. 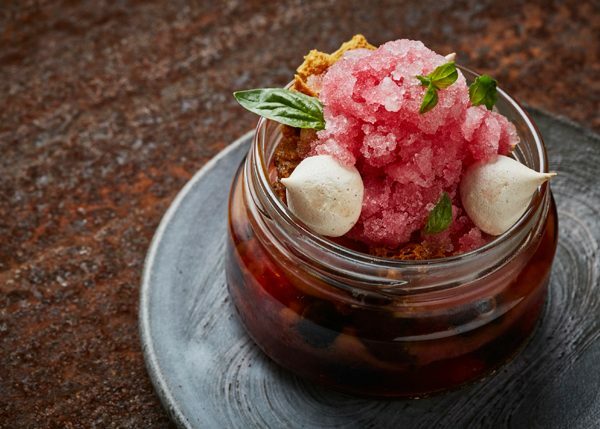 Standout dishes include ceviche with stinging nettle granita, savoury billionaire’s shortbread with dark chocolate and duck, seared scallops with cauliflower and cheese, and pork belly with smoked chestnut. “Luke’s exquisite style and the intense flavour of ingredients are out of the ordinary and deliver a phenomenal experience,” says head judge Abigail Donnelly. The billionaire’s shortbread at The Test Kitchen. Photo supplied. Dining at Chantel Dartnall’s enchanting restaurant is a special treat, featuring a sensory journey filled with exquisite plating and dynamic flavours with local, seasonal ingredients. The food displays an undeniable delicate sensibility in both preparation and presentation, satisfying on all levels. Her menus are creative and fuse local ingredients with techniques from her inspiring travels. Expect plated art in the form of dishes like ‘Tidal Pool’, with goose-liver spheres, Brussels sprout leaves, cauliflower purée and truffle; ‘Sea Mist’, with tender scallops and East Coast lobster; or ‘Where the River Meets the Sea’, with halibut and tilapia. Restaurant Mosaic at The Orient is also the winner of the 2017 Eat Out Service Excellence Award, and sommelier Moses Magwaza took home the 2017 Eat Out Wine Service Award. “It’s cooking, wine and service that will ensure you leave happy,” says head judge Abigail Donnelly. The soup du jour from Restaurant Mosaic at The Orient. Photo supplied. 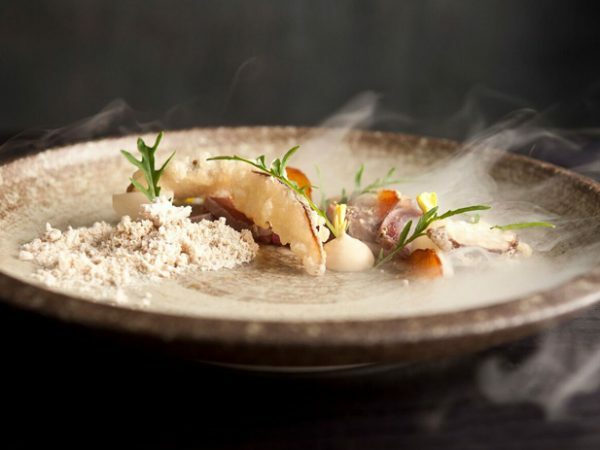 With his ability to create magical, original food that celebrates ingredients and techniques, it’s no wonder Gregory Czarnecki clinches the number 3 spot. The visually stunning food does great honour to the ingredients, with perfectly calibrated dishes like Saldanha Bay oyster with beurre blanc sorbet; Egg 63 with a sous vide egg, toast soldiers and emmenthaler velouté; poached chicken with curry, comté viennoise and morels jus; and a beautiful dessert of apricot, pomegranate, fennel, and tarragon. 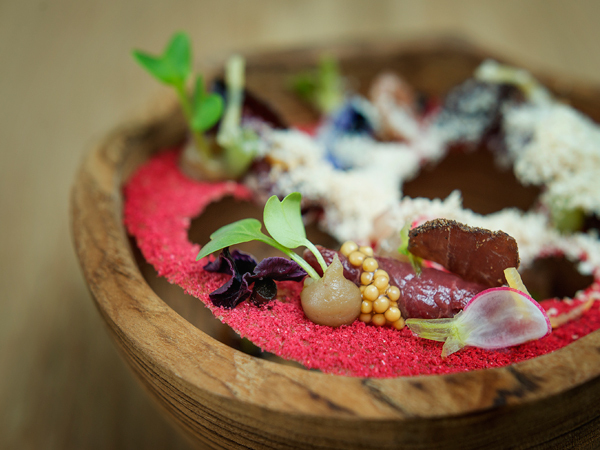 “This has to be the most beautifully designed and plated food in SA. Dishes are playful and carefully structured; flavours are subtle but surprising,” says head judge Abigail Donnelly. 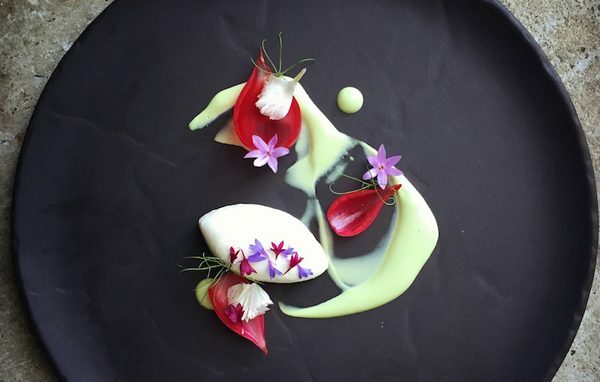 A dish of sea bass, blancmange, watercress, yoghurt and pickled onion at The Restaurant at Waterkloof. Photo supplied. Former Test Kitchen head chef Ivor Jones and his business partner, 2017 Eat Out S.Pellegrino & Acqua Panna Chef of the Year Liam Tomlin, created huge excitement in the local food scene when they opened their modern tapas restaurant at Beau Constantia wine farm in November 2016. An ever-changing menu of beautifully crafted small plates feature layered flavours. Delight in dishes like home-smoked trout with burrata, or zingy tuna with lime-cured cream cheese, before moving onto an exceptional risotto or a lively, robust roasted pork belly. An ending of wild honey and lavender crème is truly special. “Superstar chef Ivor Jones and his team cook with care and precision. Plating is inspiring and flavours are playful and punchy,” says head judge Abigail Donnelly. 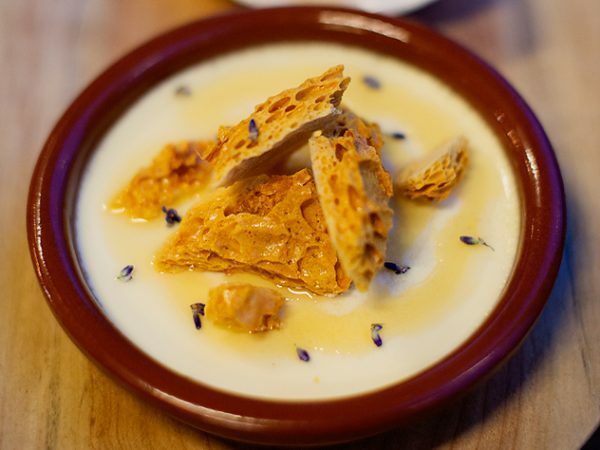 Lavender honey créme from Chefs Warehouse Beau Constantia. Photo by Claire Gunn Photography. 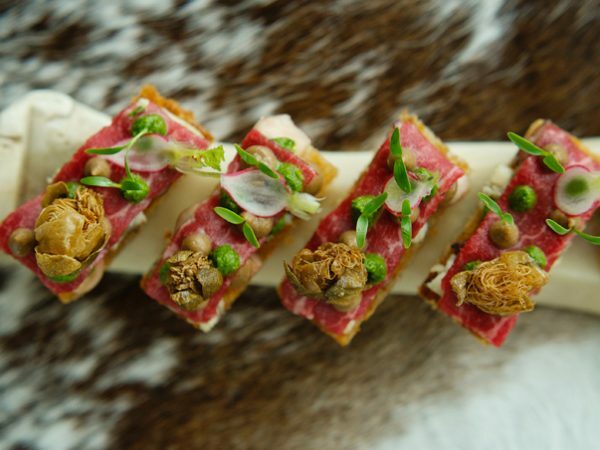 Chefs Peter Tempelhoff and Ashley Moss create art on the plate in a luxurious setting. Expect pitch-perfect plates with a subtle nod to national pride, from the storytelling to the ingredients. 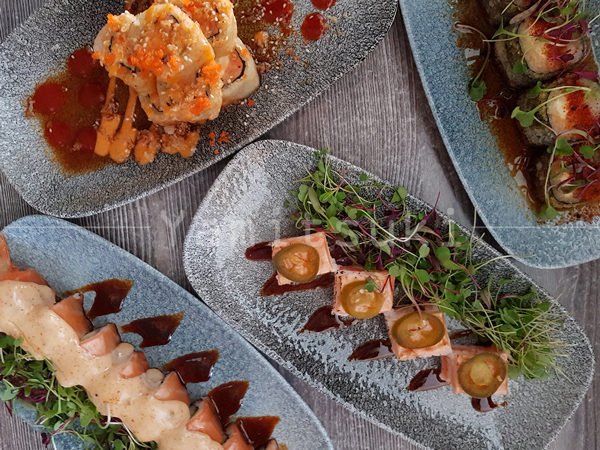 Expect theatrical dishes like Cape Malay pickled fish with Hermanus abalone; mushroom-and-sherry chocolate King Cone; and prawns steamed table-side with dill and fresh coconut. Desserts might come in the form of chamomile sherbet or a plate of deconstructed chocolate, blueberry and coffee. 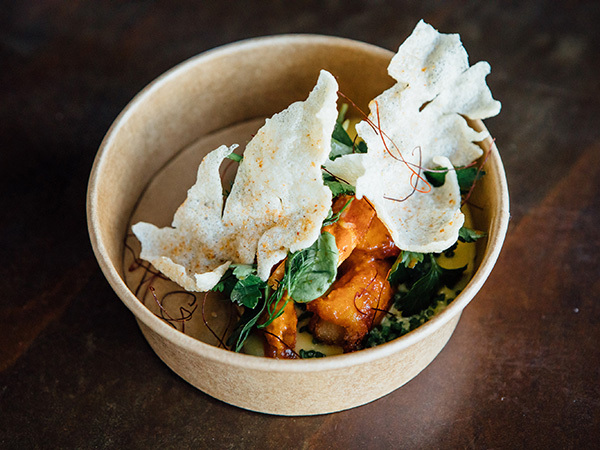 “Generous, creative and contemporary dishes complement this special restaurant where flavours celebrate South African storytelling,” says head judge Abigail Donnelly. 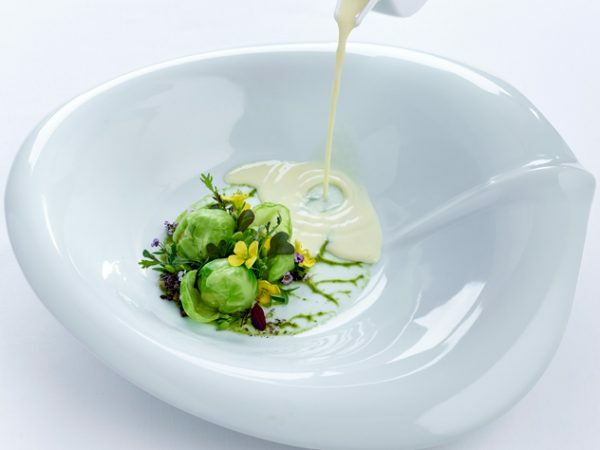 A dish at Greenhouse at The Cellars-Hohenort. Photo supplied. Chef Michael Cooke’s precision and playfulness have seen him rise up the ranks, placing him in the number six spot this year. 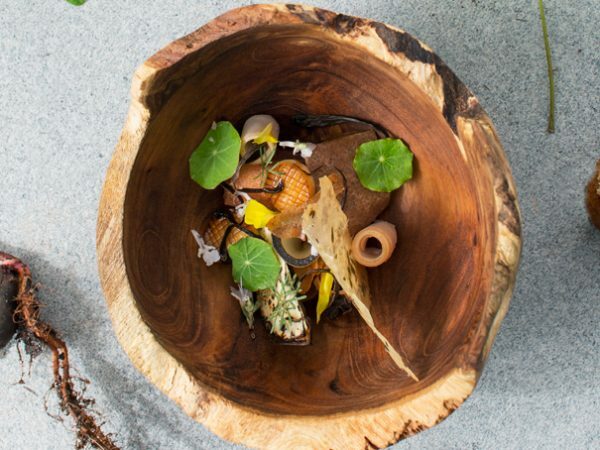 The simplicity behind the seasonal 10-course Tour menu is inspired, and is what makes this one of the most enjoyable culinary adventures in the winelands. Expect highlights like the cheese-and-wine pairing dish, or a humble yet knockout course of ham hock sausage with pork loin and pancetta. The Malay-pickled kabeljou delves into South African flavours, while the cured duck breast with duck sausage, caramelised shallots and parsnip chips is a standout. Camphors at Vergelegen is also the winner of the 2017 Eat Out Woolworths Sustainability Award. “Precise dishes celebrate seasonal ingredients. It’s a very special, exciting menu with flavours that are complex yet balanced,” says head judge Abigail Donnelly. A dish at Camphors at Vergelegen. Photo supplied. This globally recognised and locally celebrated restaurant keeps hitting high notes with its theatrical touches and flavourful food. 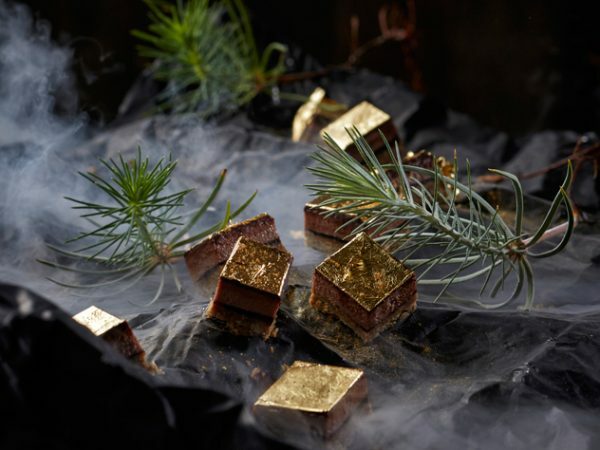 Chefs Scot Kirton and James Gaag deliver with dishes like the famed tinned tuna; a triumphant dish of springbok beneath a paper-thin sheet of brik pastry with miso and chestnut; and Wagyu bone marrow with truffle and herbs on toast. A dessert of rose, strawberry and white chocolate ends things off in a delightfully subtle way. “Delight in a multi-sensory adventure of remarkable dishes and flavour combinations,” says head judge Abigail Donnelly. Waygu bone marrow, truffle and herbs on toast. Photo by Claire Gunn Photography. 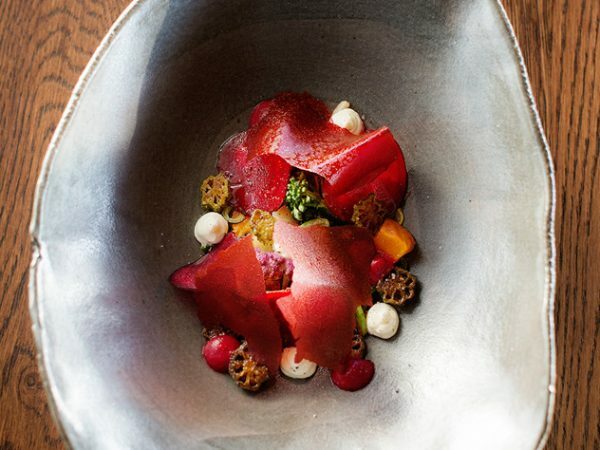 Luke Dale-Roberts’s fourth restaurant – where Wesley Randles is at the helm – makes its debut on the Top 10 thanks to its bold food that makes the ingredients the star of the show. Expect to see dishes like grass-fed beef tartare with celeriac dashi and frozen parmesan; ‘The Pasta Dish’ with unctuous oxtail ragù, fennel three ways and burnt butter; and a decadent and earthy vegetarian offering of roasted artichoke with hazelnut, aged balsamic and labneh. Delicate desserts end things off with options like lavender-and-mozzarella crème brûlée or the indulgent 80% Valrhona chocolate fondant. “Flavours are exciting and bold – they’re using the best ingredients to the max,” says head judge Abigail Donnelly. A dish at The Shortmarket Club. Photo supplied. 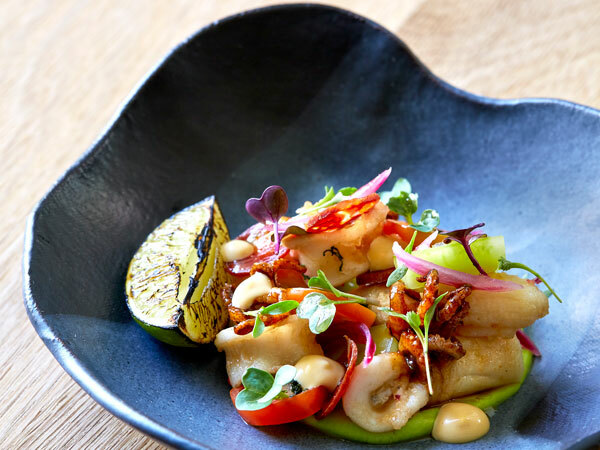 Chef Bertus Basson continues as a force to be reckoned with on the Cape culinary scene, with inspired food that highlights the very best of the country’s cuisine. Expect a feast with dishes like ‘chip and dip before a braai’, which features crispy chips of sweet potato, fried sago and kale served with a buttery avocado mousse; or a main of hearty braised lamb shoulder with balanced flavours of gem squash purée and creamy Dijonnaise. Desserts don’t disappoint, with highlights like chocolate purée, soil, and discs offset by nori, honey and orange. “A South African journey of produce and traditions that showcases Bertus’s humour all the way. It’s his personality on a plate,” says head judge Abigail Donnelly. A dish at Overture. Photo by Claire Gunn Photography. This iconic Woodstock eatery by Luke Dale-Roberts with Frederico Dias in the kitchen cracks the Top 10 again thanks to its exciting and punchy play with flavours and trendy tapas-style experience. 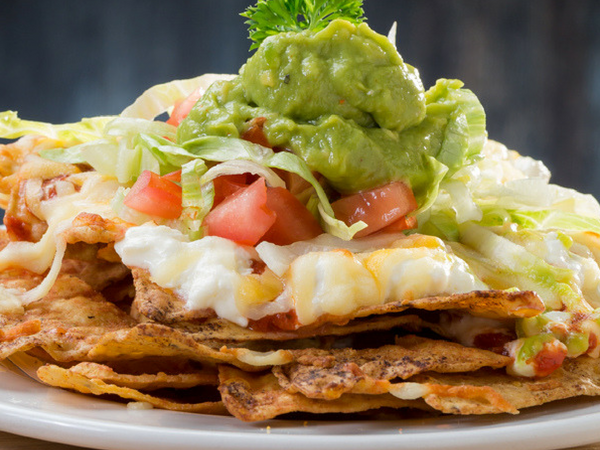 A visit to The Pot Luck Club isn’t quite complete without biting into the iconic fish tacos, or the beef fillet with café au lait sauce. Other high points include the chickpea, goat’s cheese and parmesan fries; fish sliders with amasi and maize meal; and earthy shredded confit duck leg with fresh plums. The famed s’mores with roasted frozen marshmallows and peanut-butter ice cream are a perfect way to sign off the meal. “Flavour, flavour, flavour! Small plates are exquisitely plated and the experience is quite ethereal and very cosmopolitan,” says head judge Abigail Donnelly. Hibiscus, poached pear and summer berry granita at The Pot Luck Club. Photo supplied. 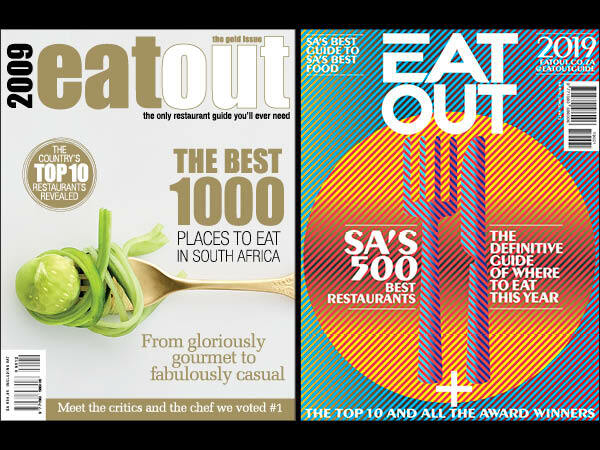 To see all the winners of the 2017 Eat Out Mercedes-Benz Restaurant Awards, click here. Mostly Cape Town based ! Voila !